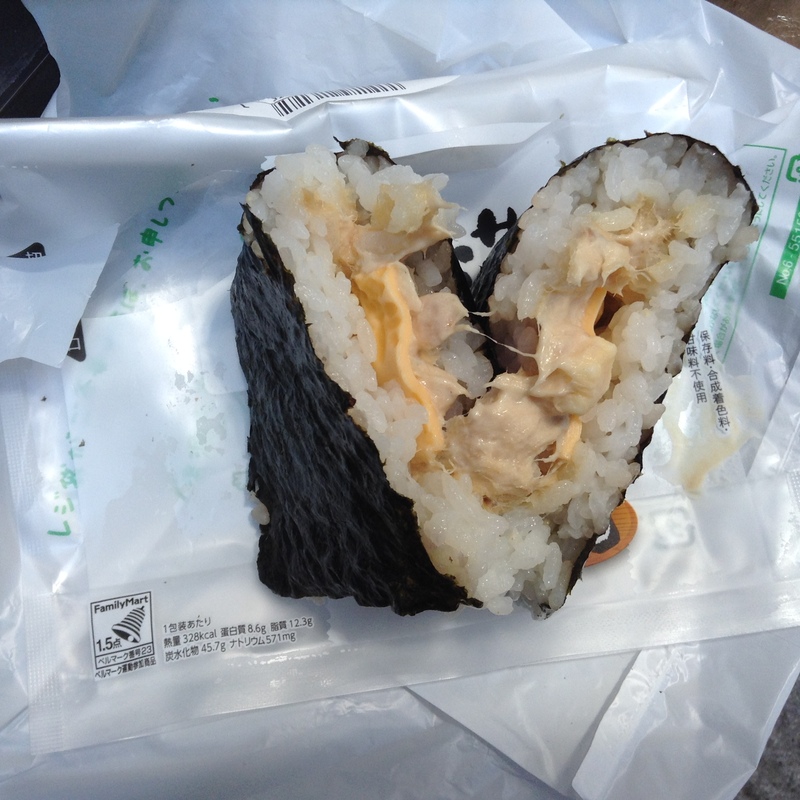 Onigiri or omusubi are savory stuffed rice balls that are often wrapped in nori. The shape is traditionally a triangle. Onigiri is something we eat at least once a week. These are perfect for picnics, hiking, as a quick meal or snack. But the onigiri is not perfect. The stuffings are concentrated in the center and the edges are not as flavorful as the middle. The onigirazu, or sandwich omusubi, takes care of that. With the new and very popular onigirazu, every bite will include some of the stuffing. Better yet, if you are making these at home, it simply requires a folding technique. No fancy squeezing and molding to get the triangle shape. Onigirazu, which actually means onigiri without forming or molding. Brilliant name for something that I wish I would have thought of long ago. Cookbook shelves have about a half dozen books on the topic. 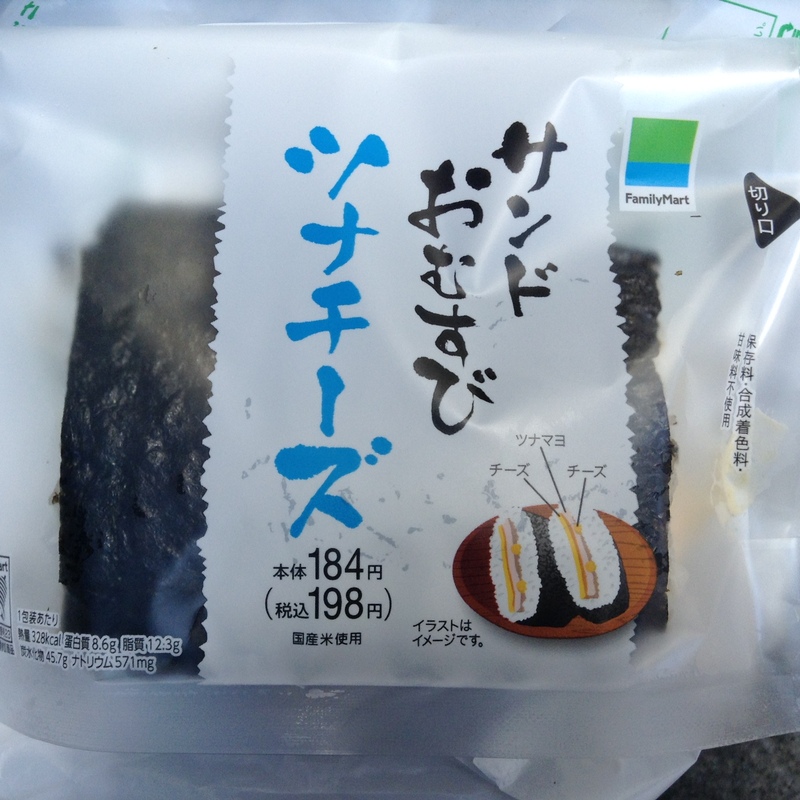 Today I found a “Sando Omusubi” (sandwich omusubi) at Family Mart, a popular convenience store. 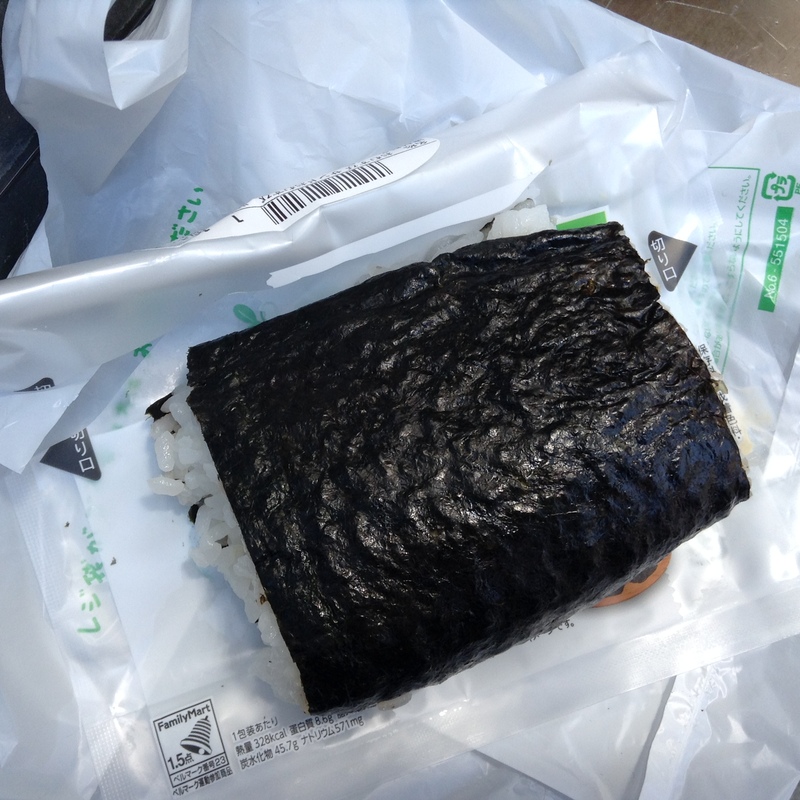 It was almost twice as expensive as the regular onigiri, I guess as there is more rice and stuffings. Usually the rice balls start at about 100 JPY, but this was for almost 200 JPY. This is the sando omusubi out of the package. Tuna mayo, canned tuna and mayonnaise, is a popular flavor. Here you can see how the generous stuffing goes all the way to the edges. Now that these are being sold at convenience stores we know that it is no longer a trend among mothers making these for their kids, but that it has reached the mainstream market. Please let me know if you try these and how you think they compare to the traditional ones. I am a big fan of the new and improved omusubi/onigiri.